remove chorizo from the casing (if there is one), and sauté, breaking up into small pieces until cooked through. meanwhile pre-heat your oven to 275º, and place the corn tortillas right on the rack to warm. 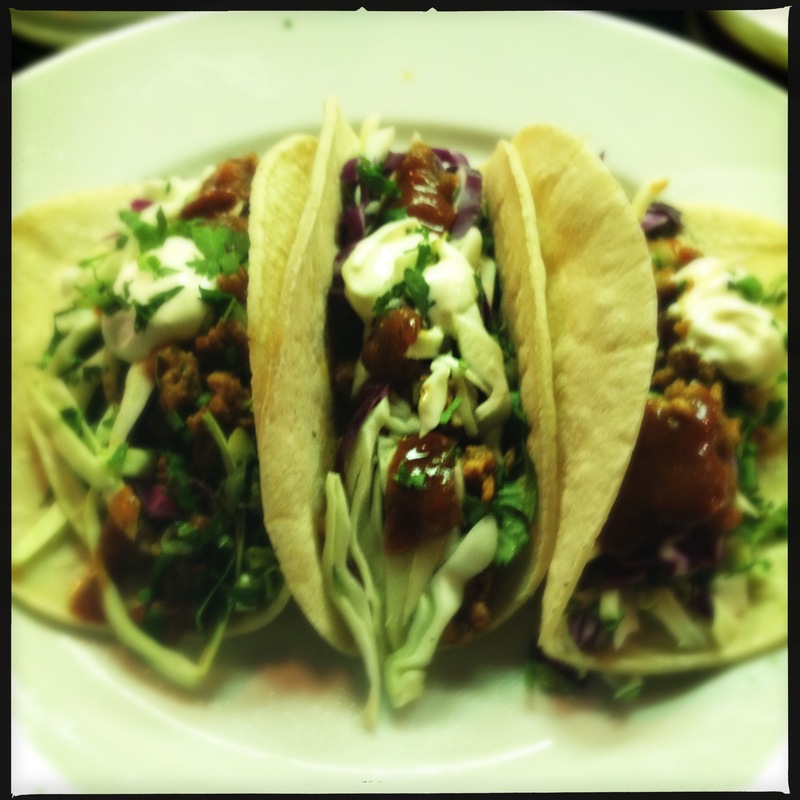 divide sausage among the tortillas, and garnish with cabbage, green onion, cilantro, chile sauce and sour cream. the only thing that would have made these better was if the tortillas were from guisado’s, and not from crummy whole foods. i can only hope armando would be impressed with this quick creation.